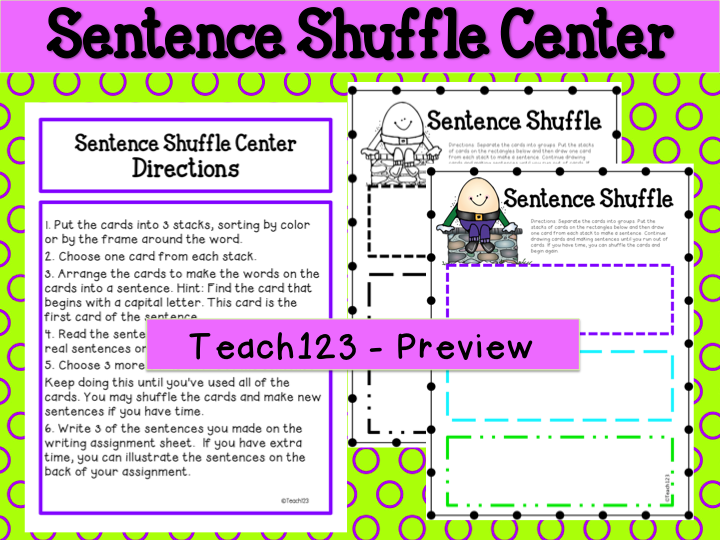 At the beginning of each school year, I always dig out my nursery rhyme unit. 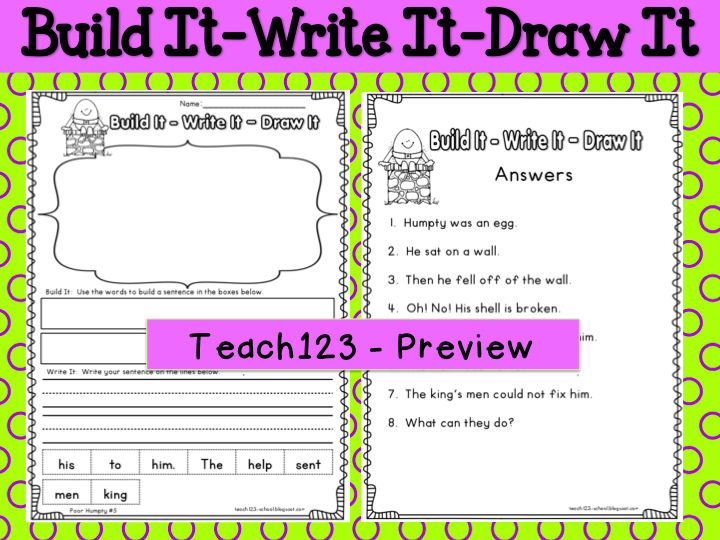 It is the perfect unit for kindergarten or first grade because many students are familiar with many of the popular rhymes. 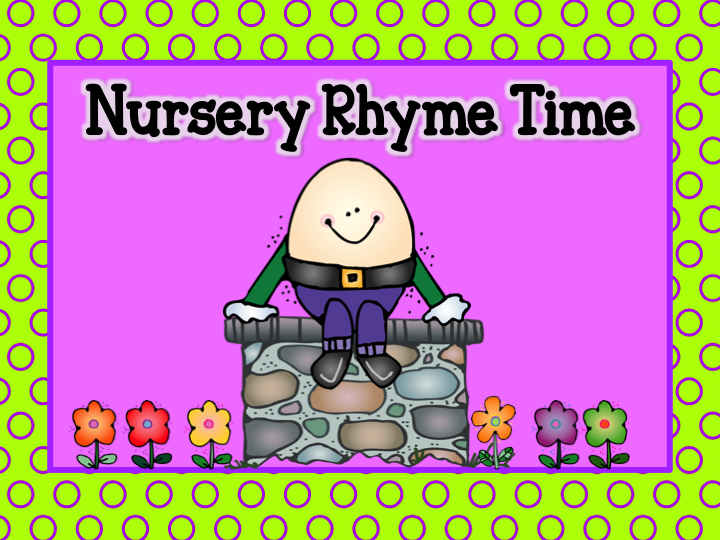 At the end of the week, we usually vote to see which was our class’ favorite rhyme. 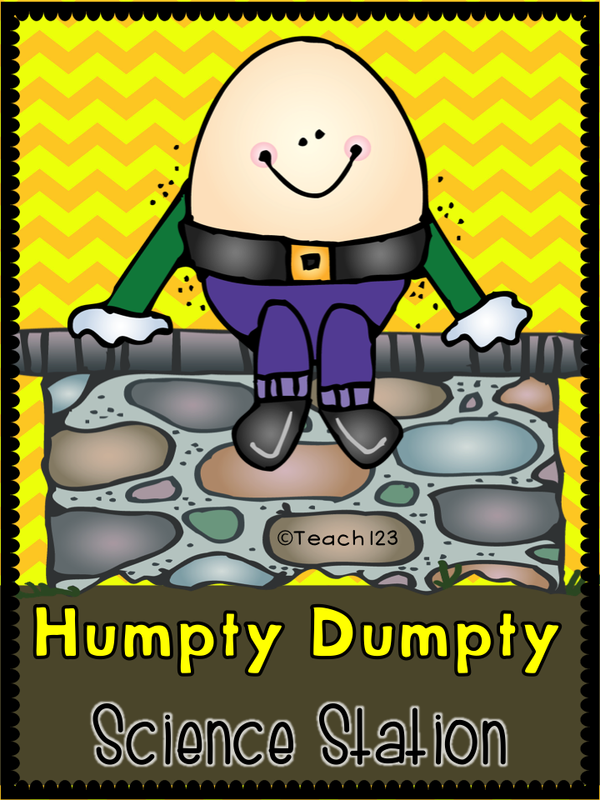 Humpty Dumpty wins every year! 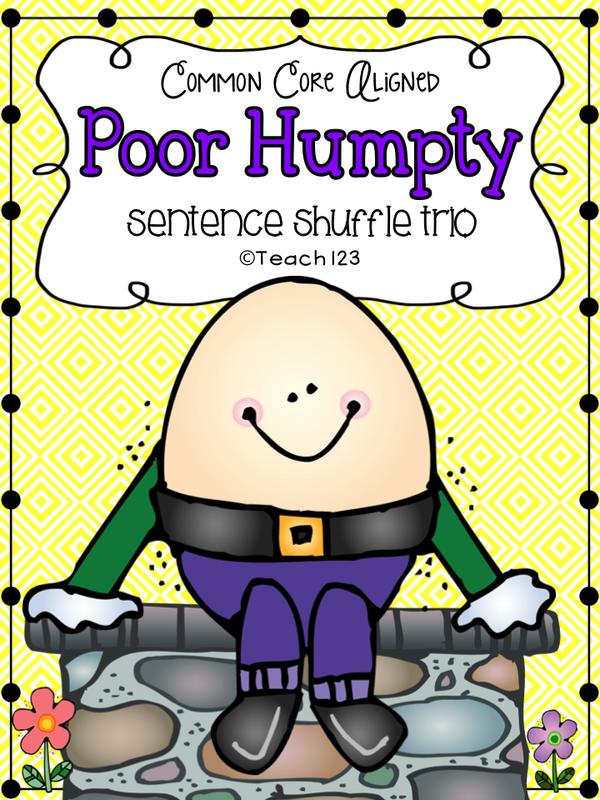 I just finished a new Sentence Shuffle Trio packet about Humpty. 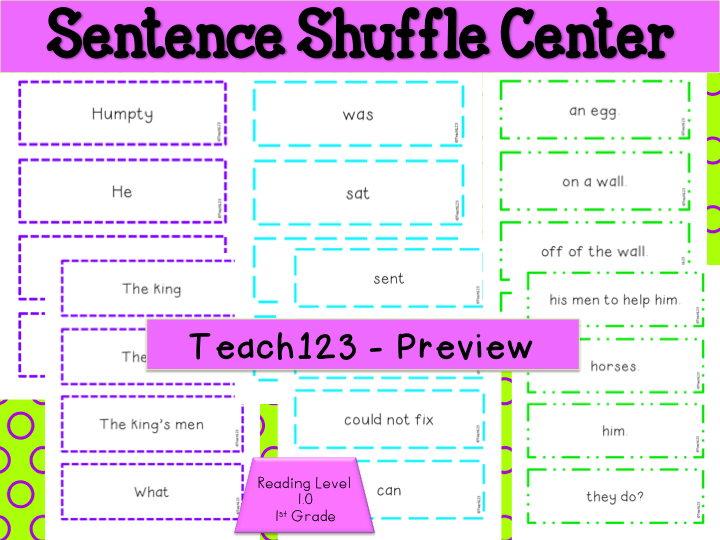 It is on the 1st grade reading level (1.0). 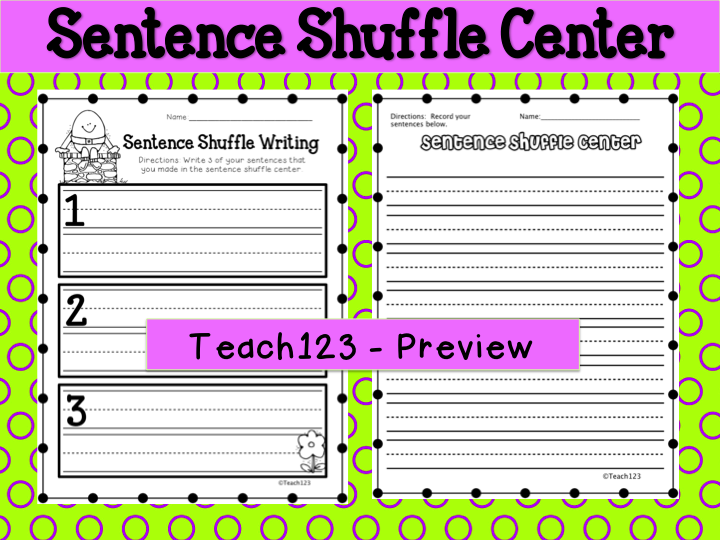 This packet is on the 1st grade reading level (1.0) and is aligned with K, 1st, and 2nd Common Core Standards. 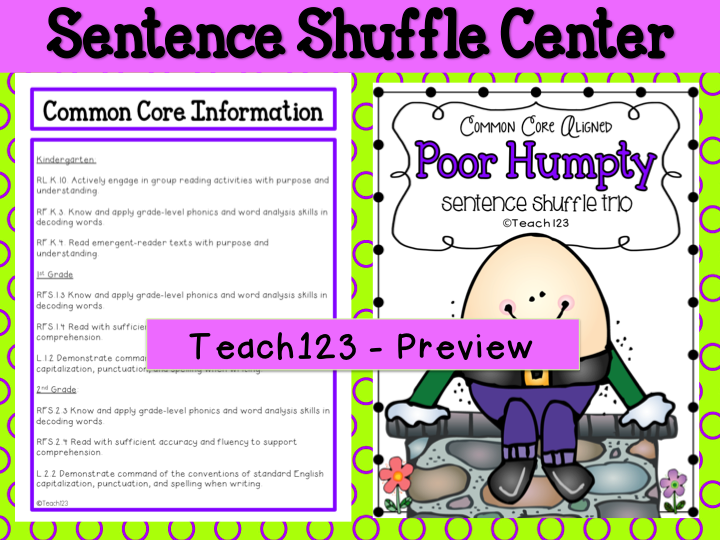 I also have a Humpty Dumpty Science Station that is FREE for a short time. 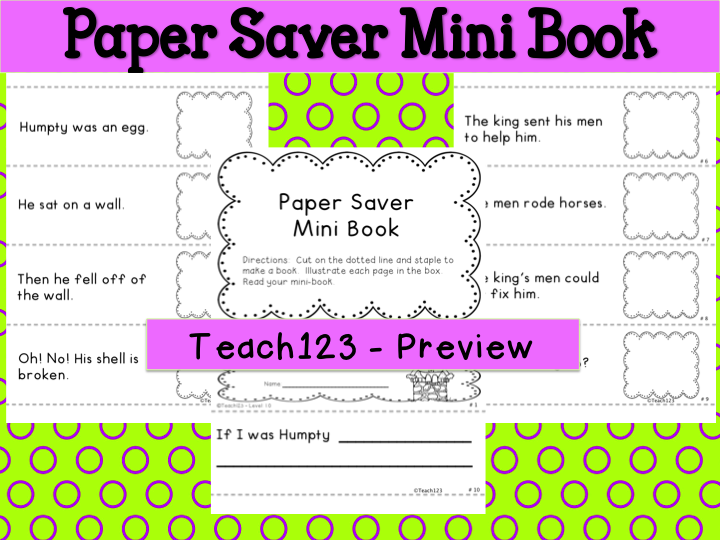 Need more nursery rhyme activities? 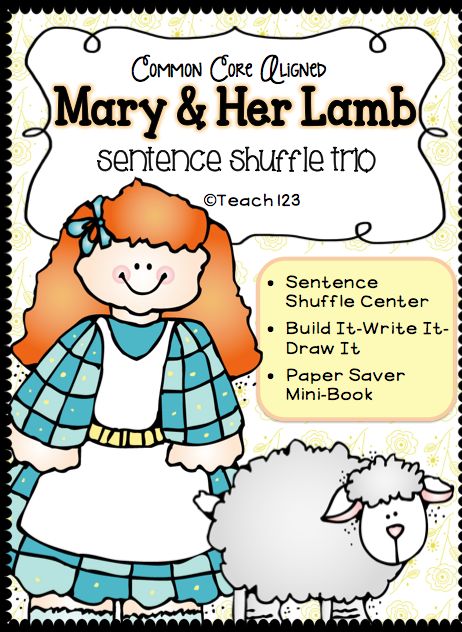 I also have this packet about Mary had a little lamb.